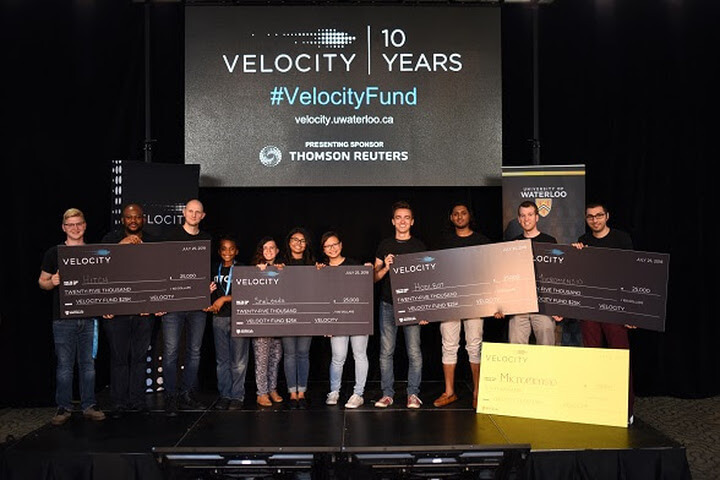 Four startups took home $25,000 at the Velocity Fund Finals, the flagship competition of the University of Waterloo’s Velocity entrepreneurship program. Ten startups pitched in front of a panel of judges, who evaluated startups based on market potential, market viability, and overall pitch. SheLeads, a software that allows organizations running programs for young girls to assess their impact. Micromensio, developing a platform technology for low-cost, disposable, wireless biosensor microchips for bacterial identification. The company also received the $10,000 hardware prize. Hodlbot, allows users to create, share, discover, and execute their cryptocurrency portfolio strategy on its platform. HITCH, a locally relevant education platform designed for African schools. All four startups took home an extra $5K in intellectual property services from local firm, PCK | Perry + Currier. They will also be admitted to the Velocity Garage startup incubator. IntelliCulture, which brings the future of fleet connectivity to the agricultural industry. Membio, which is developing hardware for manufacturing next-generation medicines. Nebula, which is developing systems to provide clean drinking water through fog harvesting. OcuBlink, whichcreates eye models to help scientists test and develop better eye care products, from eye drops to smart contact lenses.